1 >>The artificial activity which indicates that an activity following it, cannot be started unless the preceding activity is complete, is known asâ€¨ ? 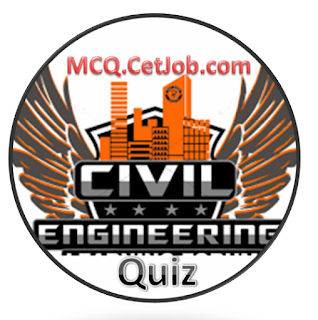 2 >>The most popular type of organisation used for Civil Engineering Constructions, isâ€¨ ? 3 >>The time by which activity completion time can be delayed without affecting the start of succeeding activities, is known asâ€¨ ? 4 >>Final technical authority of a project lies withâ€¨ ? 5 >>The object of technical planning, isâ€¨ ? 6 >>Military organisation is known asâ€¨ ? 7 >>The cost of a project is more thanâ€¨ ? 8 >>Pick up the incorrect statement from the following:â€¨ ? 9 >>If D is the duration, ES and EF are the earliest start and finish, LS and LF are latest start and latest finish time, then the following relation holds goodâ€¨ ? 10 >>A dummy activityâ€¨ ? 11 >>A Milestone chartâ€¨ ? 12 >>Time and progress chart of a construction, is also known asâ€¨ ? 13 >>Pick up the PERT event from the following:â€¨ ? 14 >>Which one of the following represents an activityâ€¨ ? 15 >>Frederick W. Taylor introduced a system of working known asâ€¨ ? 16 >>Pick up the incorrect statement from the following:â€¨ ? 17 >>The technique for establishing and maintaining priorities among the various jobs of a project, is knownâ€¨ ? 18 >>Critical Path Net Work helps an engineerâ€¨ ? 19 >>Various activities of a project, are shown on bar charts byâ€¨ ? 20 >>Completion of an activity on CPM network diagram, is generally knownâ€¨ ?